Ryka Footwear Up TO 70% Off, As Low As $14.99 At Zulily! You are here: Home / Great Deals / Ryka Footwear Up TO 70% Off, As Low As $14.99 At Zulily! 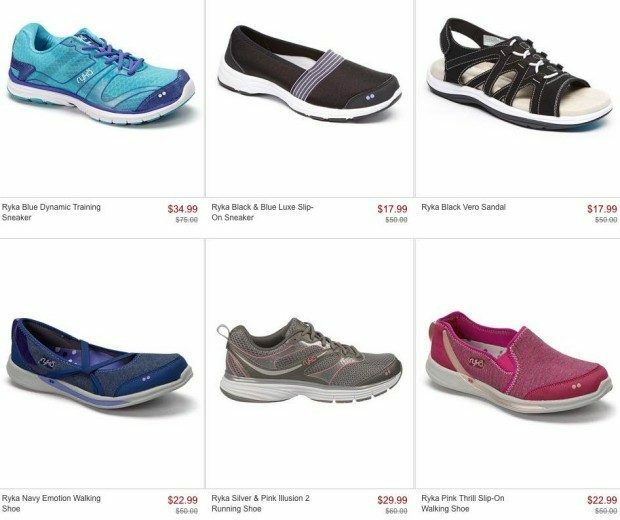 From walking shoes, to sandals, to all sorts of sneakers to running shoes, there are lots of shoes to choose from in this Ryka Footwear Sale! The Ryka Footwear Up TO 70% Off, Items As Low As $14.99 At Zulily sale is only going for 2 more days! Time to grab your favorite pair now before they disappear!